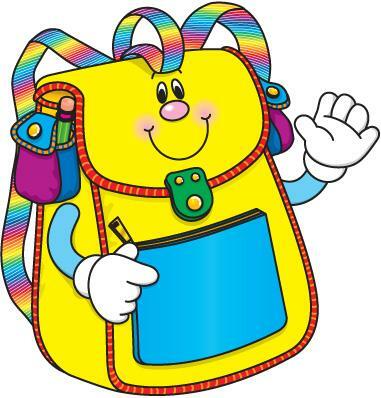 Welcome to our P3 page. 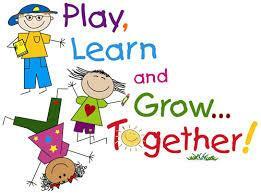 We hope you enjoy looking at all of the things we get up to! 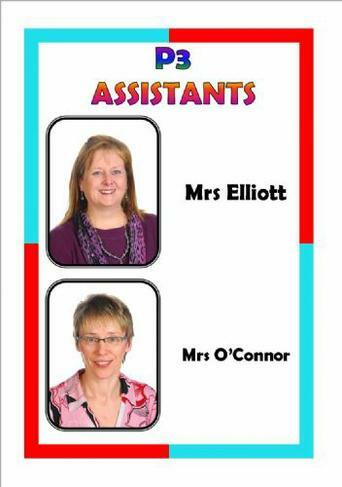 We also have 2 fantastic teaching assistants! 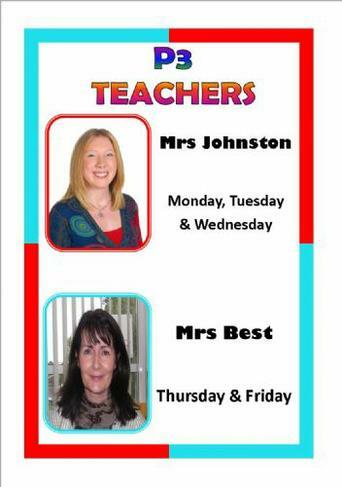 Check out the link below to see some of the highlights of our week and the important things we must remember! 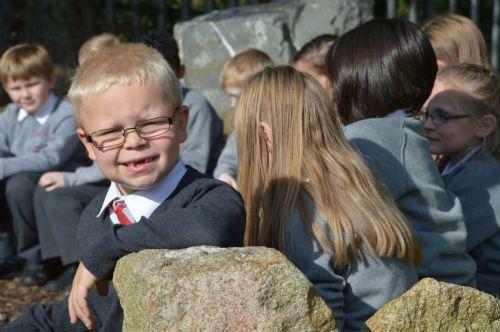 Here are some photographs of us enjoying Circle Time and some sunshine in the Stone Circle. 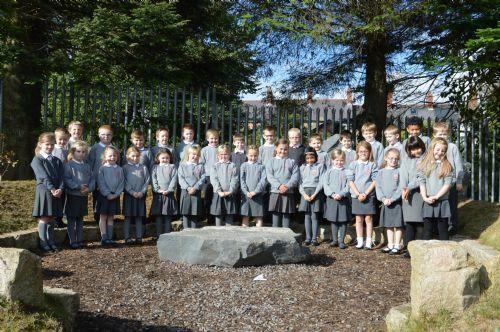 We are working REALLY hard on good attendance - our teachers were SO pleased we were ALL in this day for our photograph! 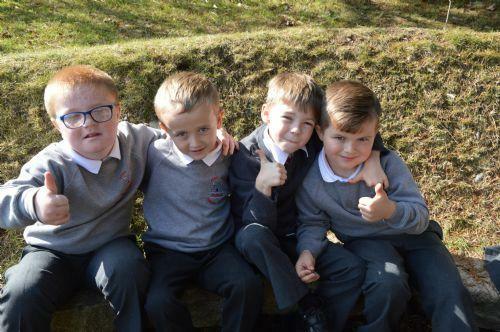 You can see some more photographs of us in the link at the bottom of the page. 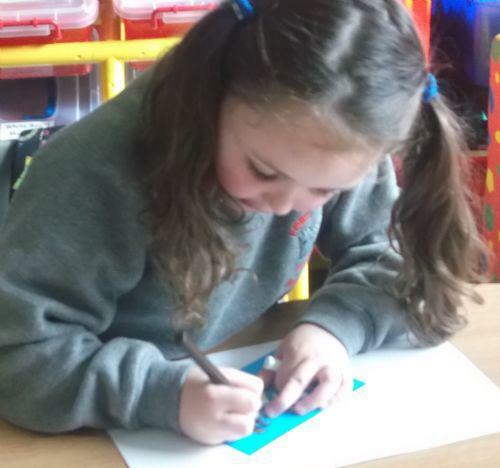 Some children in P3 have already started after-school clubs. 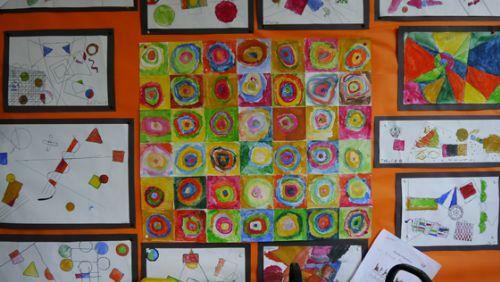 We have been exploring different patterns from lots of different cultures around the world. 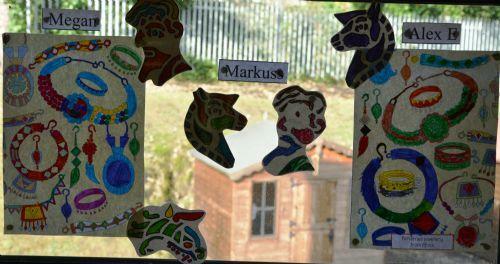 Lots of our work has been put up on display on the windows on the stairs up to our classroom. They look really bright and vibrant. 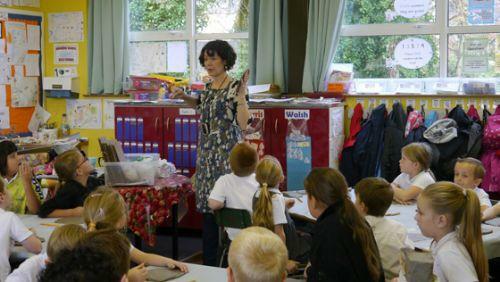 Some children in Primary 3 have also started Scottish dancing. This is a new club and it has been really exciting to learn something new! 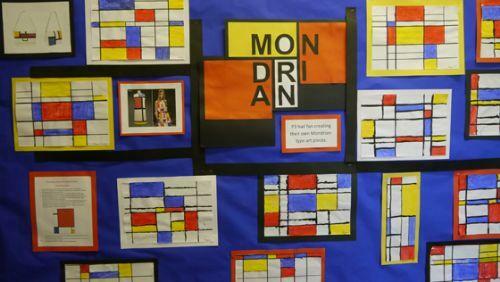 P3 have been learning about 2D shape and primary colours through the work of Piet Mondrian. 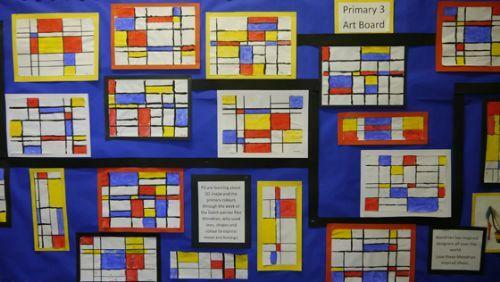 We think our Mondrian inspired art works look great! 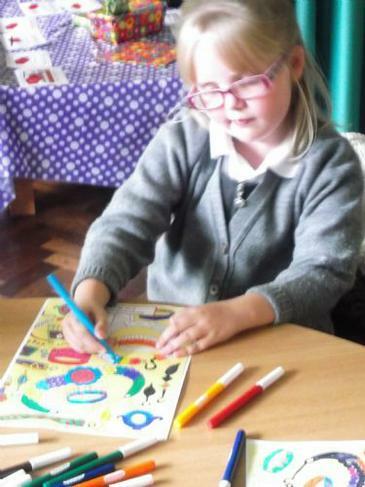 We have also been learning about 2D shape through the colourful and crazy art of Vassily Kandinsky. 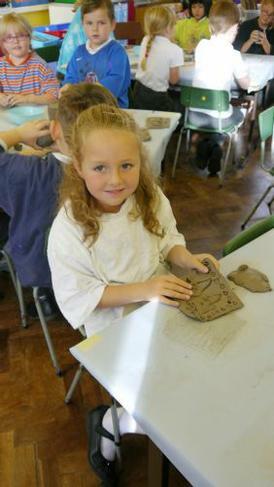 On Friday 17th October, Andrea, the resident potter from the Island Arts Centre, came to school to teach us how to work with clay. 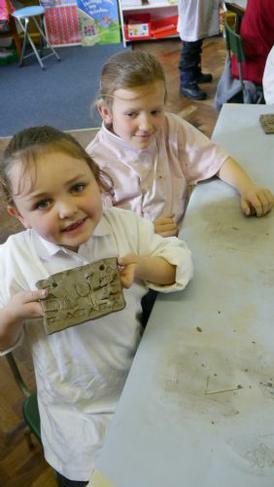 We had such fun moulding our clay in different ways, to create both a thatched cottage for bugs to live in and a plaque based on our houses and homes topic. Andrea took our work away to be fired in a very hot kiln. We are very excited to see how they will turn out. Hopefully none of them will have exploded! Keep watching our class page to see the final results! Thank you Andrea. We had a wonderful time!!! 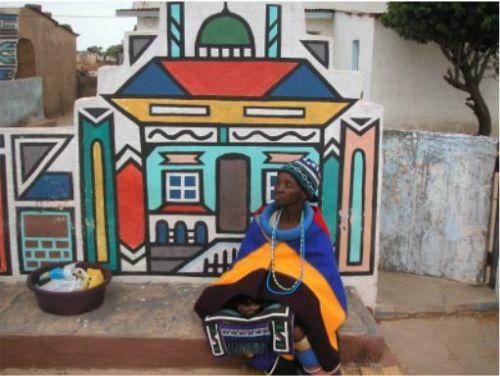 We were learning about the colourful homes of the African Ndbele tribe who painted shapes on their walls to communicate messages to each other. 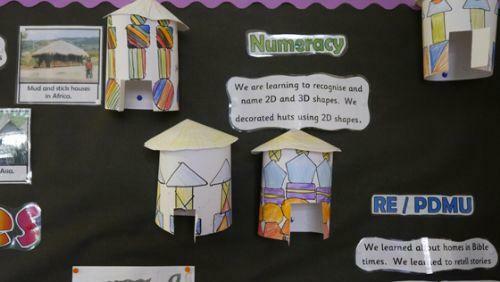 We made our own colourful shape painted huts by making a cylinder for the walls and a cone for the roof.